The theme options set in the customizer are normally applied site wide. In the Hueman theme, the WordPress live customizer has an enhanced interface, allowing you to customize any page of your website independently from the others. Note : you need to install the free Hueman Addons plugin to activate this feature in Hueman, or download Hueman Pro. 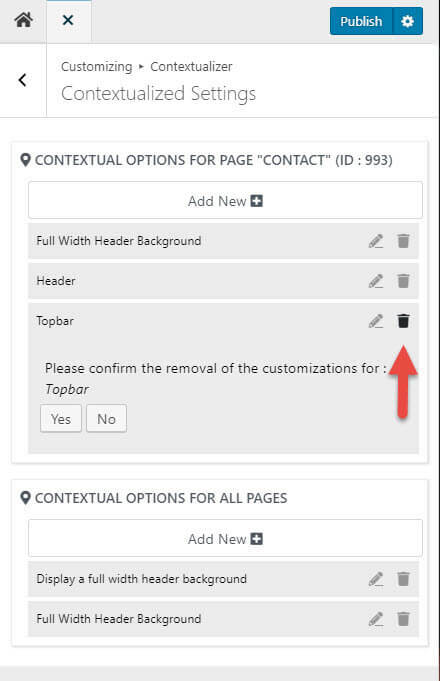 If a theme option, like the header banner image, has been customized specifically for a page, the Hueman theme will use the specific page customization in priority for this option. when a theme option of this page is not customized specifically, then this option will inherit its value from its parent option level. If we are displaying a single post, the parent levels are : All Posts and then Side Wide. This is for example very useful if you need to display a specific menu only on one page, or if you need to set a custom font for some posts. It can also be used to set specific colors, footer layout, site layout by page. In fact almost all options of the customizer can be set at a local level, including the custom css. 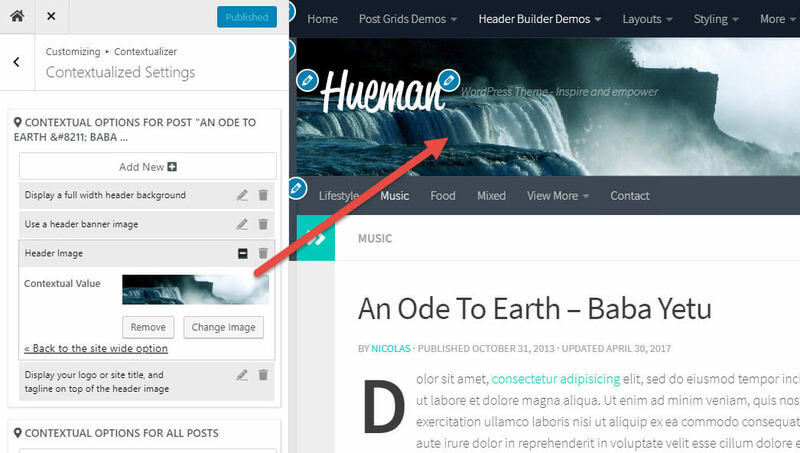 Before you start, this feature requires the Hueman Pro theme ( or the Hueman Addons plugin v2.1+ ) and WordPress version 4.7 +. Make sure you have activated the Hueman theme in Appearance > Themes. Then open the live customizer. 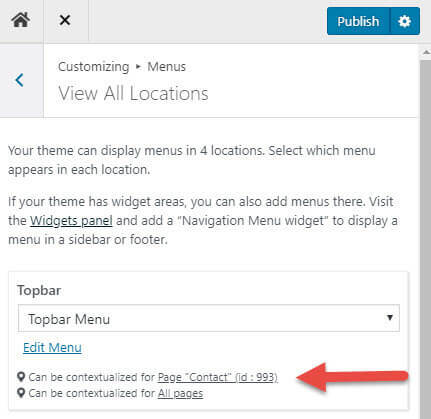 When you navigate through the various options, you'll notice a link with a location icon at the bottom of settings eligible for contextualizations. Let's take a use case to review the various possibilities offered by this feature. 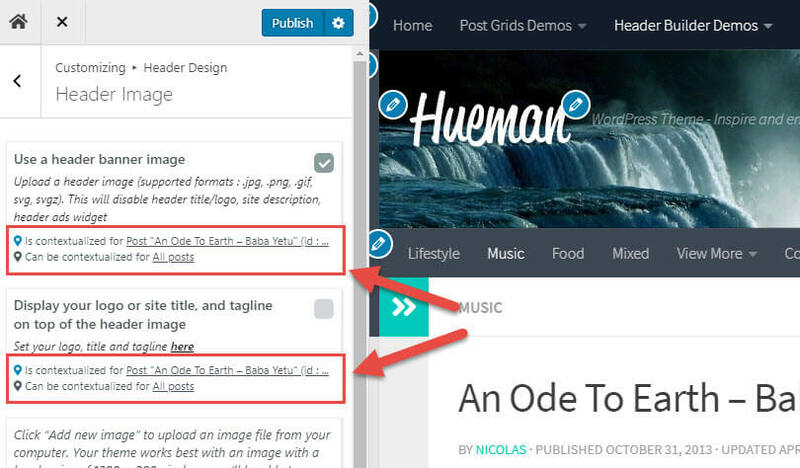 In this example, you will set a specific header image only on your home page. 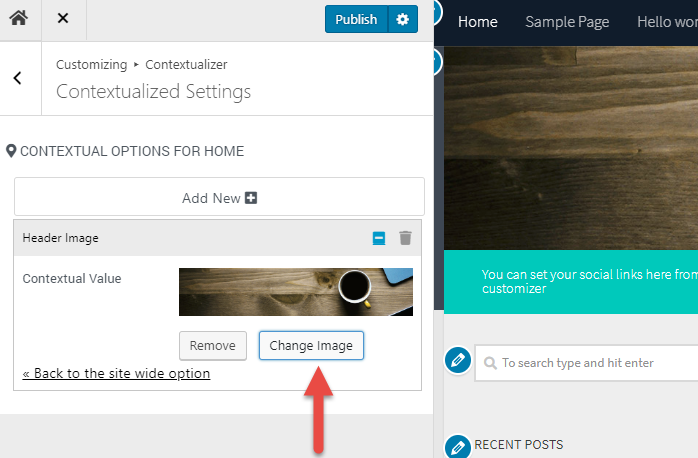 In the contextualizer panel, click on Add new and search for "Header image". Open the Menus panel and create a specific menu for this page if not already done. In the example, the created menu is "Company Page"
Your page displays a specific menu, not displayed on other pages. You can see the result live on the demo page here. If you change your mind and you want to reset some local options, you can remove them easily. 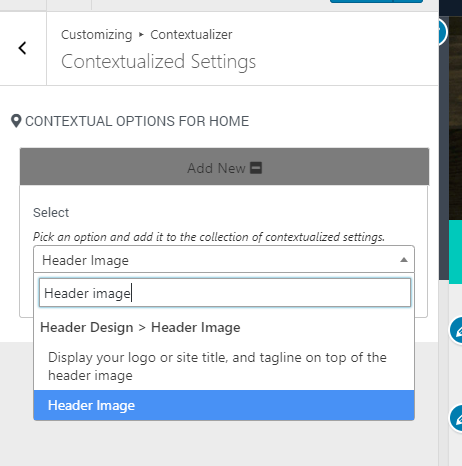 Open the live customizer, click on the Contextualizer panel and reset the option that you want to reset to the site wide value. This new feature also helps gaining in productivity when customizing your website. 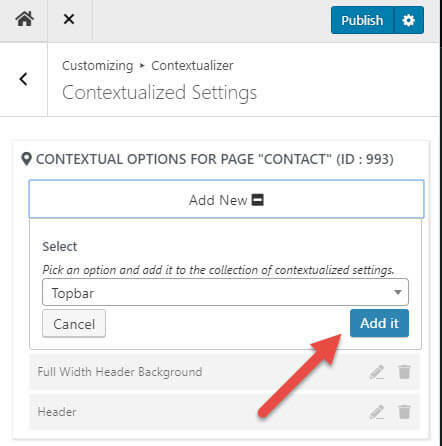 In the live customizer, you can navigate through your website by clicking on your menu or posts links, and then customize each contexts individually without living the customizer. The customizer will keep track of your customizations done to any contexts during your session. Once you're satisfied by your design, you can click and publish your work, or save it as a draft and publish later.